On holiday in Queensland this week, it’s clear there are only two things going on in the world. First, a giant sinkhole on Fraser Island swallowed a bunch of cars, a caravan, a trailer and the holiday hopes of 300 campers. But even the extended — and international — coverage this story has received pales in comparison to the breathless round-the-clock updates surrounding the first ever all-Queensland rugby league grand final. Syria, the commodities meltdown, life on Mars, the baby steps of a new prime minister — none of these things register in the sunshine state. What, there’s a new prime minister? What happened to that other bloke? You know, the one from Queensland? The one that called the Chinese ‘ratf*ckers’? “Queensland: Beautiful one day, perfect the next,” says the ad. “And always parochial,” it should have added. As the Brisbane Broncos and North Queensland Cowboys prepare to do battle, no angle has been left unprobed. It’s the grand final we’ve all been waiting for, the newsreaders tell us, which is news indeed to this little New South Welsher. 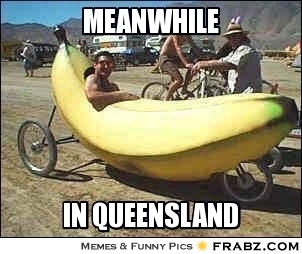 There are calls for the game to be held in Queensland, to save the banana benders the inconvenience of changing the habits of a lifetime and crossing an actual state border. Then the news turns to the exorbitant prices the airlines are charging for this crossing-the-border caper, when everyone knows you can find these prices on any flight if you leave your run late enough. Federal independent MP Bob Katter, who hails from Queensland’s northern realms and has the mentality to prove it, jumps on the media bandwagon and accuses the airlines of price gouging. “The sooner north Queensland is a separate state, the sooner we can hit back at everyone from Government to big corporations in order to get a fair go, rather than just being used as a milking cow,” he tells the national broadcaster. Yes, grand final airfares are a secessionist issue in this part of the world. Which is not surprising considering the company Katter keeps. There’s been wall-to-wall coverage of Jonathan Thurston’s fourth Dally M award and Justin Hodges’ close call with the judiciary, which was never that close considering the three former players on the bench were never going to deny a bloke a grand final swan song. But here his is doing his best nervous face anyway. Even the storms that hit the Queensland coast were covered from the perspective of the disruption they caused to the Broncos’ training session. When I first started planning a Gold Coast theme park holiday, I knew I’d be entering a parallel universe. But this particular scenario entered my mind. By this stage of the finals, the Cowboys have usually long ridden off into the season’s sunset, trailing a litany of complaints about ‘costly refereeing decisions’ behind them like tin cans off a wedding car. And who knew Wayne Bennett was going to resurrect his coaching fortunes to such effect? 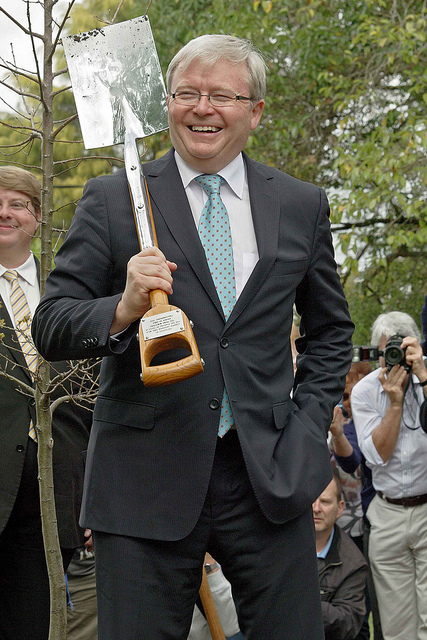 But I’m worried if I’m exposed to much more of this, I’ll start thinking like a Queenslander. And I know that’s a contradiction in terms. So readers, please send news of the outside world, before I’m brainwashed into thinking the world really does revolve around a game between two teams from different ends of a very odd state. I’m serious. Another couple of days of this and Bob Katter will start sounding sensible.